Subject: Requirements definition, procurement evaluation and managing delivery of a new Emergency Voice Communication System (EVCS) at London Luton Airport. Through part of their work on Capital Expenditure assessment at the Airport, Cyrrus identified the EVCS as one of the top priorities for replacement. Along with an aging EVCS, the requirement to meet Civil Aviation Authority 8.33kHz regulations and provision of new radios, provided an opportunity to undertake a full Emergency communications project, with a view to resolving ongoing issues with coverage and reception. The relocation of Main and Contingency receivers from the Control Tower Building Sub-Equipment Room to a dedicated receiver site not only freed up space within a cluttered room but, also implemented a best practice design and removed opportunities for bleed-through and interference. This holistic approach to communications was echoed by the Air Navigation Service Provider (ANSP) and would allow the Airport to progress other replacement projects and enhance a rapidly expanding operation. Cyrrus were engaged to define and generate the formal technical requirements documentation, complete the tender evaluation of potential suppliers and project manage the delivery of the new supplier and system into operational use. 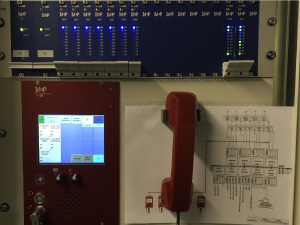 Following successful completion of the delivery, installation and commissioning phases by the supplier, the EVCS, Emergency radios and new Main and Contingency Receiver Site were technically handed over to the ANSP, to complete the safety assurance process. The new equipment entered operational service at London Luton Airport in June 2016. “Cyrrus has provided London Luton Airport Operations Limited with technical consultancy services since 2011, always providing professional and friendly guidance. 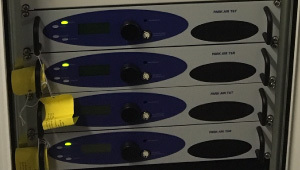 Their assistance with the replacement Emergency Voice Communications project was therefore guaranteed, and once again, they provided invaluable assistance to ensure a fit for purpose, cost effective solution was delivered against valid and specific requirements. Their use of best practice engineering process and in-depth experience of Communications, Navigation and Surveillance systems were invaluable in resolving any issues encountered and allowing delivery of a fully approved operational system”.